Marc Rothemund MARC ROTHEMUND was born in 1968. He began his career as an assistant director for, among others, Helmut Dietl and Bernd Eichinger and made his directorial debut with episodes for various TV series. His first feature film was LOVE SCENES FROM PLANET EARTH (1998). 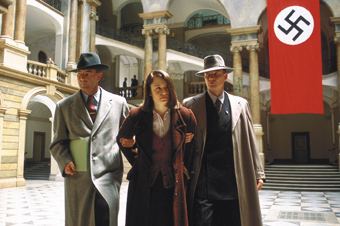 In 2005 he directed SOPHIE SCHOLL – THE FINAL DAYS (2005), which was nominated for an Academy Award and received numerous other awards, including the Silver Bear for Best Director at the Berlinale. His other films include: ANTS IN THE PANTS (1999), HOPE DIES LAST (2001), THE DUO (2003), PORNORAMA (2007), SINGLE BY CONTRACT (2010), MEN DO WHAT THEY CAN (2012), THE GIRL WITH NINE WIGS (2013), MY BLIND DATE WITH LIFE (2016), and THIS CRAZY HEART (2017).